Elvis Costello once released an album called King of America. These days, he could more appropriately be called King of Reissues. This is the third time his early masterpiece, This Year’s Model, has received the reissue treatment, and if the previously unreleased tracks and B-sides didn’t tempt you on Rykodisc’s or Rhino’s repackages, Hip-O/UMe is here to up the ante. The original album has now been tricked out to a two-disc Deluxe Edition set, and the 11 lean original tracks have been bulked up to include an additional 11 B-sides and 17 live tracks. That’s a bounty of vintage Costello, and at slightly more than two and a half hours, it offers as complete a view of the Angry Young Man, circa 1978, as you could possibly want. The original This Year’s Model, included here on the first half of Disc 1, is brilliant, a snarky and raging slab of intemperate rock 'n' roll, and it sounds as fresh and vital today as it did 30 years ago. Nobody had delivered caustic one-liners like this since Dylan, and, with the debut of The Attractions, Costello had found the manic band to propel his claustrophobic, paranoid screeds. 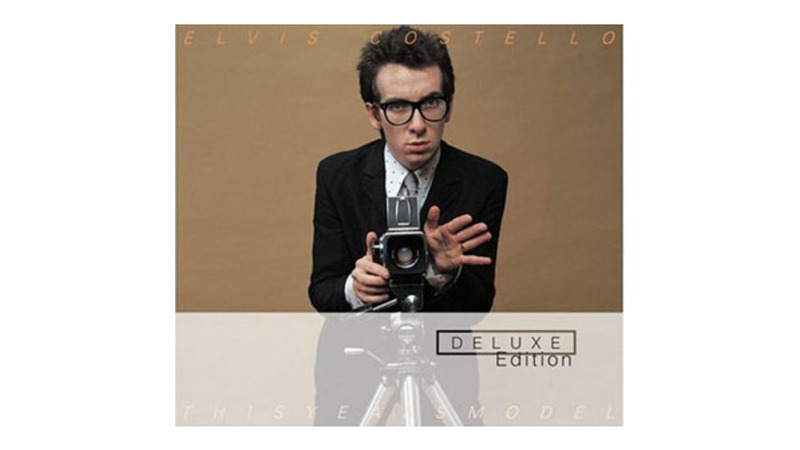 “I don’t want to kiss you/ I don’t want to touch,” he almost whispers at the start of the album, and when The Attractions detonate in all their ragged glory behind him we’re already miles removed from the polite country rock of Clover, Costello’s backing band on his 1977 debut My Aim Is True. It’s the moment when New Wave found its frontman. And it lurches along that way for 35 minutes, barely in control, the irresistible propulsion of Steve Nieve’s careening keyboards matched by Costello’s acerbic wit. If the Angry Young Man isn’t angry about everything, his vision is still broad enough to draw within his crosshairs the advertising industry, “It” girls, fascism, George Orwell, radio narrowcasting and his own withering self. “Sometimes I almost feel just like a human being,” he snarls, and alienation never sounded so bracing. It’s a wonderful record. The B-sides have been released in various configurations over the years, but there isn’t much of a drop off in quality between “(I Don’t Want To Go To) Chelsea” and “Big Tears” and the official album tracks. In 1978, Costello was writing great songs at a furious pace, and the brilliance is marred only by a couple of unnecessary demos that would appear as finished songs on Costello’s next album, Armed Forces. The live disc, taken from a Feb. 1978 show at Washington D.C.’s Warner Theater, is good, but not as good as the widely available El Macombo show from the same period. And therein lies the dilemma. Longtime Costello fans, the target audience for these reissue projects, probably already own most of this music. But curious newcomers, who typically won’t shell out for a 2-disc set, could hardly do better. Elvis Costello has produced a lot of great music over a lot of different years, but the 1978 model was a particularly spectacular one.